2016 is closing in quicker than some of us would like to admit. As we scramble to complete our holiday shopping list, finalize our New Year’s Eve plans, and churn out Christmas cookie platters as if it was our job – it is hard enough to catch a breath, let alone entertain the idea of finding used cars for sale. As busy as we are the second half of December, it is important not to forget to take care of our own personal needs, and for some of us – that includes finding a great deal on a pre-owned vehicle. The end of the year can be the perfect time to find deals on not only new cars, but also used vehicles as well. If you have been putting off your next pre-owned car purchase all year, now is the time to consider heading to your local dealership, and locking down a great deal on a high quality used vehicle. Before the ball drops at midnight in just a few short weeks, make it a priority to take care of an important item on your own to-do list. End of Year Offers: End of year car sales are typically thought to include new models only, but the truth is that many pre-owned vehicles are deeply discounted just prior to New Year’s Eve. While new car dealerships are trying to unload 2016 models in order to make way for new 2017 cars, used car dealerships are also trying to rotate their inventory of pre-owned vehicles. If a used car dealer has an inventory of vehicles that are not selling, they are more likely to discount these models in order to start the new year off fresh. Every car that sits unsold on a dealer lot, ends up costing that dealership money. To finish off the calendar year on a high note, dealers are more likely to part with unsold cars, trucks, and SUVs at a lower cost than they otherwise would. Take advantage of this fact, and check out the sales that dealerships are running to help cleanse their inventory for 2017. Holiday Offers: Even used car dealers can’t help but be swept up in the spirit of Christmas. While not every dealership in town will offer Christmas or holiday deals, it is usually a good time to find lower cost used cars, than other times of the year. Don’t expect to get a used car for free, or have it handed to you at a ridiculously low price, but do expect to see sticker prices that are trimmed down right around Christmastime. More Variety: Just as it is true that used car dealers are offering low prices on their pre-owned inventory, it is also true that dealerships are slashing prices on new models toward the end of the year. These new car deals mean that more people are trading in their current vehicle, which means more of a variety for used car shoppers. It is most common for dealerships to acquire pre-owned cars during a new vehicle transaction, which means that they experience an influx in inventory that they will want to unload rather quickly. When shopping for a used car, pay just as much attention to new car deals. 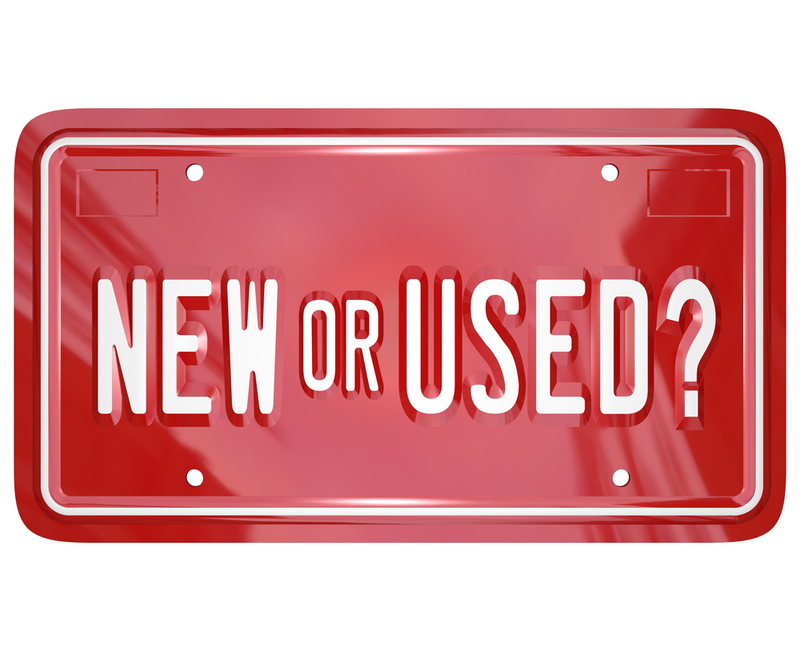 A dealership that is deeply discounting new models, will more than likely have a more diverse inventory of used vehicles to choose from. End of Lease Agreements: Drivers who opt to lease a new car rather than buy it outright, can do so anytime throughout the year. When a lease contract has ended, dealerships take back ownership of more vehicles, most of which are just two to three years old. Cars that were leased are also more properly cared for than privately owned vehicles, and tend to be better options in terms of quality and reliability. If a dealership has a large number of leases expiring at the end of the year, then those cars will be offered as pre-owned models on the lot. These younger, better kept cars are the perfect option for pre-owned buyers who want something with lower mileage from a relatively newer model year. Get a Better Deal on Convertibles: While not every used car shopper is looking to buy a convertible, the truth of the matter is that the end of the year is a great time to get a deal on this type of car. Whether you are seeking out a used convertible coupe, or a soft top Jeep Wrangler, dealers have a harder time selling these fair-weather vehicles during the winter months. A convertible might not be the most practical car to drive in a New York winter, but for the right price, practicality hardly even matters. If you have considered a convertible purchase in the past, but aren’t entirely sold on the idea, talk to a used car dealership and see what kind of deals they are willing to negotiate. The savings involved with buying a used convertible in the winter just may surprise you enough to sway your decision towards one direction, over the other. DePaula Chevrolet is the top destination for used car shoppers in Albany, and the rest of upstate New York. Staffed with an exceptional team of dedicated and knowledgeable individuals, you will always find the best customer service, and the most lucrative deals at DePaula Chevrolet. With a large selection of high quality new, used, and Certified Pre-Owned cars, trucks, and SUVs, there is no better place to purchase your next car than at DePaula Chevrolet. With the end of the year closing in, this is your best opportunity to find a great deal on whatever new-to-you car you have your heart set on buying. Be sure to come down to our dealership here in Albany, NY soon, because 2017 will be here before you know it. Secure a great deal on a high quality car, from the most reputable dealership in upstate New York. Don’t forget to take care of yourself this holiday season, along with all of your used car needs. We hope to see you soon.